Twelve is an orphan. 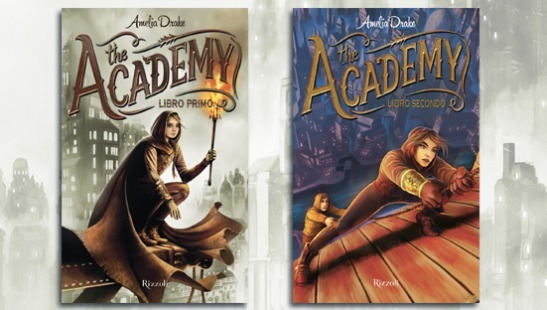 The time has come for her to choose one of the eighteen academies in Danubia where she’ll learn a trade. But fate intervenes, and she ends up at the legendary nineteenth academy, a school for thieves. The rules are very weird here, and the students study things like Burglary, Espio-nage, and the Art of Cheating. Twelve must fi nd some way to survive in this dangerous place, while also looking after her dear little friend One Maddy.Will she manage to escape and invent a whole new life for herself?